Israeli forces continue to demolish Palestinian homes in the Jordan Valley, in spite of an order signed in January indicating that the homes no longer lie in an army firing zone, reports Israeli news source Haartez. According to Ma`an, the order, signed by GOC Central Command Maj. Gen. Nitzan Alon on January 18, reduced the size of Firing Zone 912 in the Jordan Valley. Originally spanning from the settlement of Maale Adumim, east of Jerusalem, to the Dead Sea and to Umm Daraj, in the south, the area was declared a firing zone over 40 years ago, and used regularly by Israeli armed forces for training. Such designation is used as legitimization by Israeli authorities to demolish Palestinian homes or build on Palestinian land that falls within the zone. 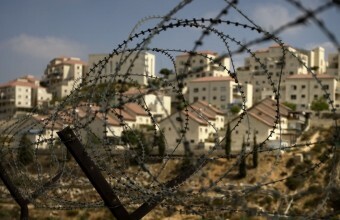 The reduction of the size of Firing Zone 912 has not stopped the expansion of settlements in the area, however. Haaretz further reported that a master plan is in the works to utilize land in the firing zone for expanding nearby settlements. As a result, Palestinian homes in the zone have been demolished, and Palestinians living in the area have not been able to obtain building permits. There is a master plan for the area that earmarks it for the construction of dozens of housing units to expand Maale Adumim. Work has already begun in the area and a sign has been erected announcing the construction of 88 units in the area, called Nofei Adumim. Central Command`s operations officer Col. Einav Shalev indicated the use of firing zones in forcing Palestinians to leave the area, during an address to a subcommittee of the Knesset Foreign Affairs and Defense Committee. The Jordan Valley accounts for nearly a third of the land in the occupied West Bank, although 90 percent of it is designated as Area C meaning it is under full Israeli control and Palestinian use of the land is severely restricted. Aside from the land taken up by 39 Israeli settlements and nine illegal outposts, huge swathes of territory have been declared military firing zones and therefore off-limits to Palestinians.